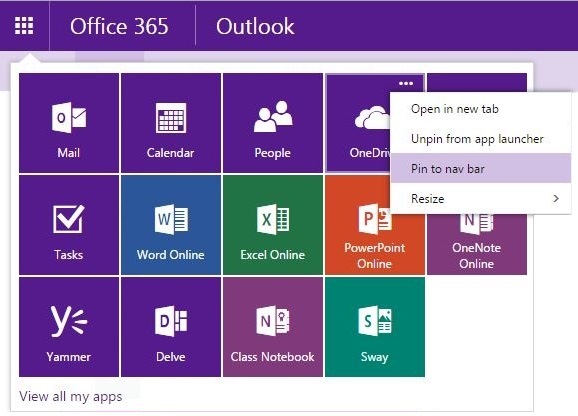 Do you have a favorite app in Office 365? Whether it’s Mail, OneDrive, Word Online, OneNote or any other option, you can pin up to three favorites to your navigation bar! Your favorite apps will be instantly available from any Office 365 app or page. Learn how to pin apps to the navigation bar .